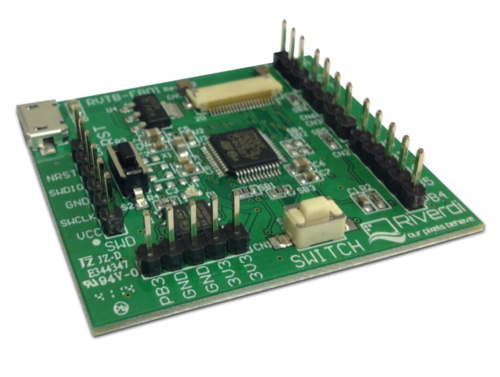 Arduino Riverdi TFT shield is a simple shield which expand an Arduino capabilities. 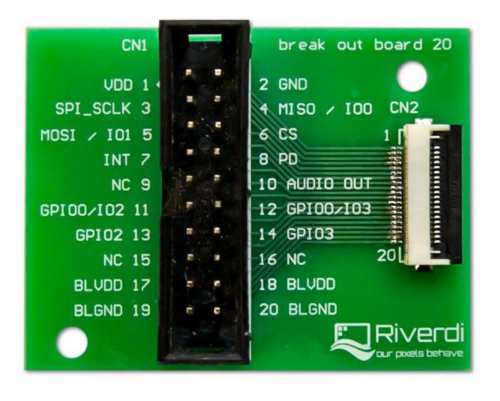 It provides a convenient connection Riverdi displays with FT80x and FT81x controller to the Arduino. The shield board includes: external speaker connector, multiple display pin headers, micro – SD card slot, backlight power supply selection jumper, reset button. Break Out Board 36 soldered break-out board with two conectors: CN2, 36 pin downside ZIF connector, for connecting display module via 150 mm FFC and CN1, 36 pin IDC connector, for connecting users free cables. Break Out Board 36 is designed for TFT displays with SSD1963 controlleers. Hermes Board is an accessory designed to communicate with SPI Interface device via USB cable, directly to PC. It based on the FT232HQ and allows to develop application without hardware designed. 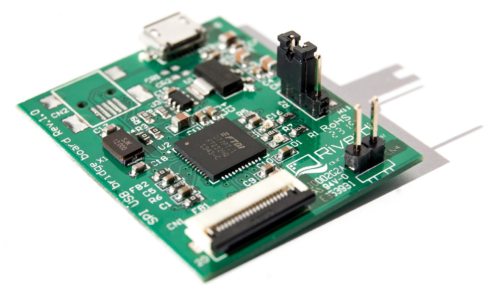 Hermes Board is dedicated to Riverdi TFT display (3.5″ to 7″) with FT8xx controller. 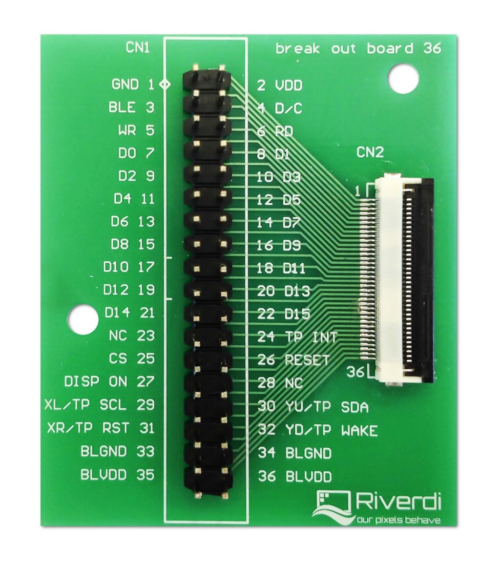 It contains a ZIF connector (20 pin, 0.5mm) for connecting Riverdi TFT display. The supply power jumper is available for selecting supply power on 3.3V or 5V. 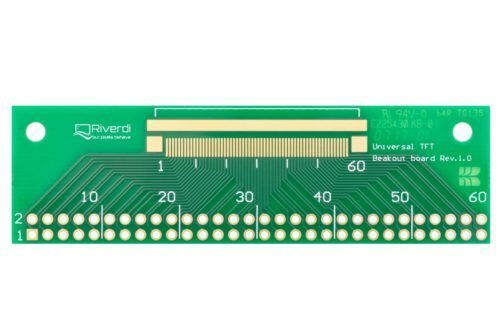 Revelation board is an evaluation tool designed to help to start working with Riverdi TFT modules with FT8xx controller. 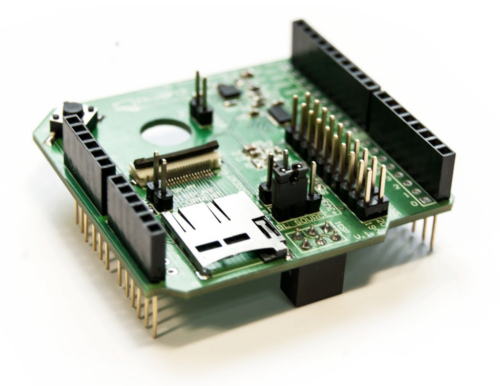 It is based on STM32F0 family MCU. This tool you can also use as a platform to build your own application. Revelation Board is preprogramed in factory, so to evaluate Riverdi TFT modules with FT8XX controllers, just follow these steps: 1. Connect TFT module via 20 pin 0.5mm FFC to CN8. 2. Connect micro USB 5V power supply to CN7. 3. Press S1 to choose size and type of evaluated TFT.